There are many neo-pagans who are of the opinion that witchcraft is something that should not be used for evil deeds and that it should only be used for doing good deeds. 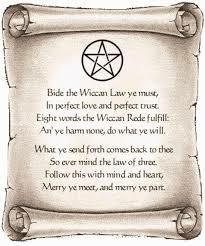 This has been mentioned in the Rule of Three and the Wiccan Rede. According to the Rule of Three, anything that a witch does will be given back to her three times, and this includes any bad deeds too. On the other hand, the Wiccan Rede states that as long as a person does not harm someone else, he or she will have no reason to fear about any harm on him or herself. The belief of the pagans is a lot like the belief of the followers of Christianity when they are praying: the heavenly will recognize and provide answers to ritual that has been undertaken. There are also some people who are of the opinion that all the things in this world is somehow linked with each other and when people understand this then it will be easier for them to influence the things surrounding them. This outlook also means moral considerations because if a person harms someone else then at some level, he is harming himself too. It is important for you to understand that not all the witches that exist are Neo-pagans or Wiccans. 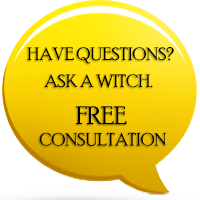 There are many people who are of the opinion that the powers that the witches have has not been obtained through paranormal means and that the powers have been obtained through psychosomatic as well as psychological effects. There are many neo-pagan witches who believe in the three aspects of consciousness and these are the conscious mind, the unconscious mind and the Divine Self or the soul. The unconscious self is also referred to as the young self and it is non-verbal as it does not recognize speech. However it does recognize and understand the various signs and symbols. There are many other models that are similar to this one in the area of magic and psychology like the Qabalistic theory of three parts of a person: the greatest divine self that is also referred to as Neschamah; the lower instinct, body and subconscious self that is also referred to as Nephesch; and the ego and intellect self that is also referred to as Ruach. This same model is somewhat like the Eastern Christian trichotomy that consists of three Greek words soma (which is the body), psyche (which is considered to be the mind) and nous (which is the faculty that has the ability to apprehend the heavenly). Spell casting is one of the most prominent features of witchcraft. The spells that are carried out can be performed through candles, hymms, chants, spoken words, meditation, etc. The methods used by different witches to cast the spells are different and the style of the witches to cast the spell is also different. The spells that are performed by the witches can range from healing spells to love spells.The sabbats are the holidays that are celebrated by the Neo-pagan Wiccans and in total; there are eight Sabbats in a year. These sabbats are celebrated in those locations that are isolated such as mountains and forests. Some of the location that are popular as the places where the sabbats have taken place are Kopastatö, Zäbern, Puy-de-Dôme, Carignan, Briany, the Black Forest, Melibäus, Blocksberg and the Bald Mount; to name a few. There are also some who believe that Stonehenge in England is a location where the Sabbats have also taken place.